Listing a property and selling a property are two entirely different things. 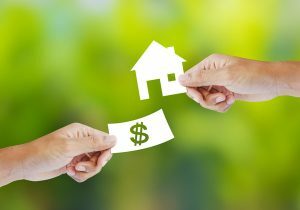 To bring these transactions to a close, you have to attract buyers who are qualified for this purchase. Following are a few tips to make finding a home buyer especially when you need to offload your property fast. Take full advantage of all of the available, online platforms for marketing this unit. Keep in mind that real estate buyers are currently doing a lot of their shopping at home and on their own. If they are unable to find your listing while browsing the web, this listing will be unlikely to attract any reasonable offers. You also want to make sure that you have plenty of visual elements within your online marketing campaign. Have a professional photographer take photos of your unit after you have staged it. You can use software to set up a virtual tour so that people can get a real feel for the space even before they’ve entered it. Make sure that you are pricing your house correctly from the very outset. Raising or lowering a home’s price further down the road can stigmatize your listing. You can work with a reputable real estate agent to get accurate and up-to-date sales data on comparable properties in your neighborhood. You can then adjust your targeted price according to differences in features, amenities and other factors. If you need to sell your house lightning fast, then you may want to look at short-sale buyers. These are investors who are independently qualified to complete these transactions. This option means that you will not have to adhere to the stringent requirements of lenders or pass an abundance of inspections. In most instances, short sale buyers will be willing to take the unit just as it is and they are often able to complete these transactions within a matter of days or weeks. For more information on finding a home buyer check out My Triangle Homes.